The Institut für neue Medien (INM), located in Frankfurt’s Osthafen (Schmickstraße 18). The institute was founded in 1989 as a vanguard experimental laboratory for interactive New Media Art at the Städelschule, University of Fine Arts in Frankfurt, Germany. The Institute is organized as an open “Plug-In” platform where individuals, institutions and companies can dock onto with their individual projects. It offers space, logistics and networks for projects and discourses dealing with the present and the future of New Media and the knowledge society. The building itself has been constructed on top of an old air raid shelter. 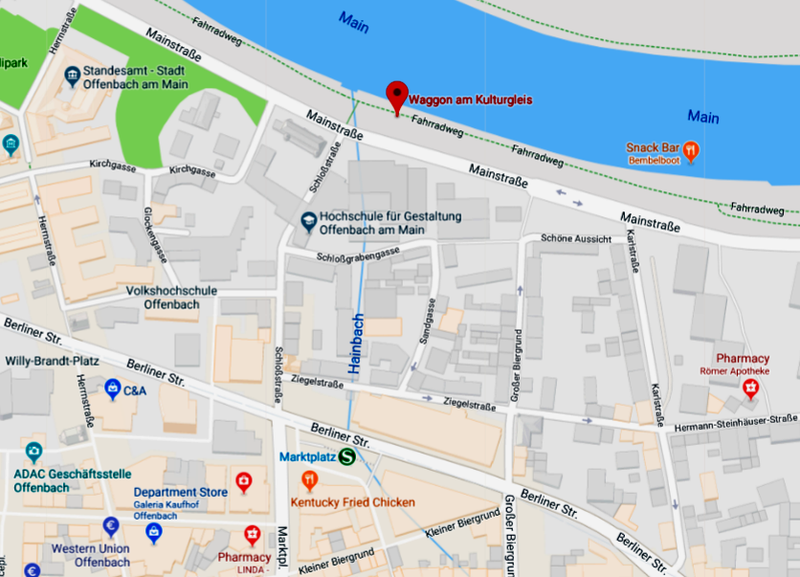 The Waggon am Kulturgleis is located at the shore of the Main river in Offenbach, near the Isenburger Schloß. 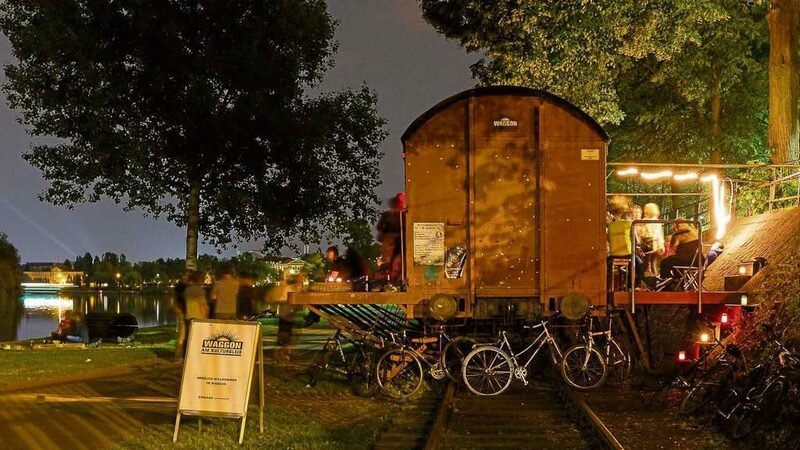 In this refurbished railway car, a wide array of cultural events is hosted all year round, including the bend make change festival. 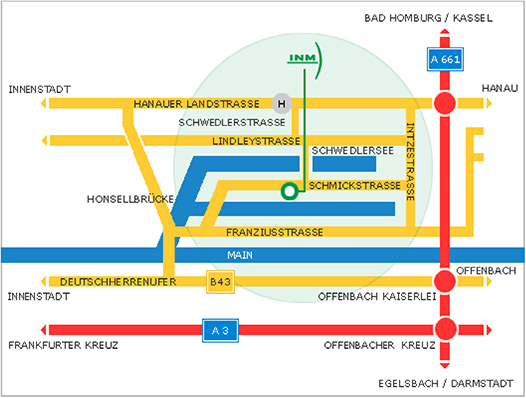 Here’s where to find it (the closest public transport station is Offenbach Marktplatz).